Online MBA is a 42 credit program offering 2 concentration areas. One in Supply Chain Mangement and the other in Six Sigma. The program is part time and requires 1x per week live synchronous virtual classroom sessions online through Adobe Connect Platform. THis allows students to connect virtually with their classmates and professors to have an experience as replicable as a classroom setting. Our class sizes are small, with capacity at 20 to allow for maximum discussion and sharing of ideas. The admissions department at Clarkson University requires that applicants submit an undergraduate transcript, GMAT or GRE scores, TOEFL scores (if necessary), and a Test of Spoken English (TSE) (for international students whose native language is not English; the TSE can be administered via telephone), a detailed resume, two one-page personal essay...The admissions department at Clarkson University requires that applicants submit an undergraduate transcript, GMAT or GRE scores, TOEFL scores (if necessary), and a Test of Spoken English (TSE) (for international students whose native language is not English; the TSE can be administered via telephone), a detailed resume, two one-page personal essays, and three letters of reference. Awards of merit-based scholarships are determined during the admissions process; no separate application is required. Those requiring foundation course work prior to commencing their MBAs "may enroll in the courses at Clarkson during the summer Business Concepts Program before entering the advanced MBA program. For students doing graduate work at another university, they may be allowed to transfer in nine credit hours of graduate work." Clarkson University boasts 1-6 former graduates that have become CEO, president, or vice-president of a company. A large reason for this owes to the Graduate Career Services office, which helps all students find jobs after graduation. While some would like “more opportunities to network for jobs,” all agree that the Career Services office is invaluable to students with assets like KnightLink which allows prospects to find job, co-op and internship listings, as well as career workshops. Students also take advantage of the alumni-mentoring program, which allows them to connect with graduates who will help and guide them through the process of finding a job. Clarkson MBAs most frequently find work with IBM, Accenture, Lockheed Martin, GE, Cooper Industries, Frito-Lay, HSBC, Knowledge Systems and Research, Texas Instruments, and Whiting Turner. While the majority of graduates remain in the Northeast, students are placed throughout the country. 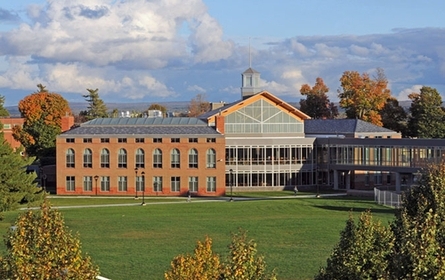 Want more info about Clarkson University School of Business Administration Distance MBA? Get free advice from education experts and Noodle community members.